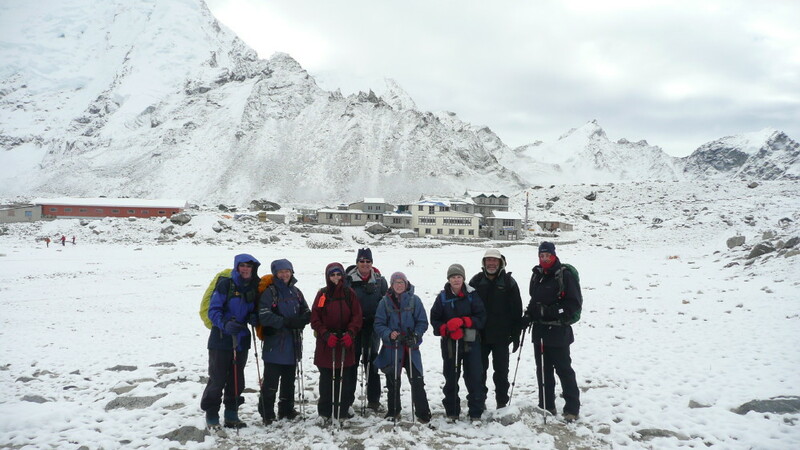 A group of 13 ARPA members arrived at Lukla airport, Nepal to begin trekking the Himalayas. From now on there is no mechanization, no vehicles, no bikes, not even a wheelbarrow, everything is transported by porters or Yaks. We live in tents and have a mobile kitchen and dining tent for the next few weeks. 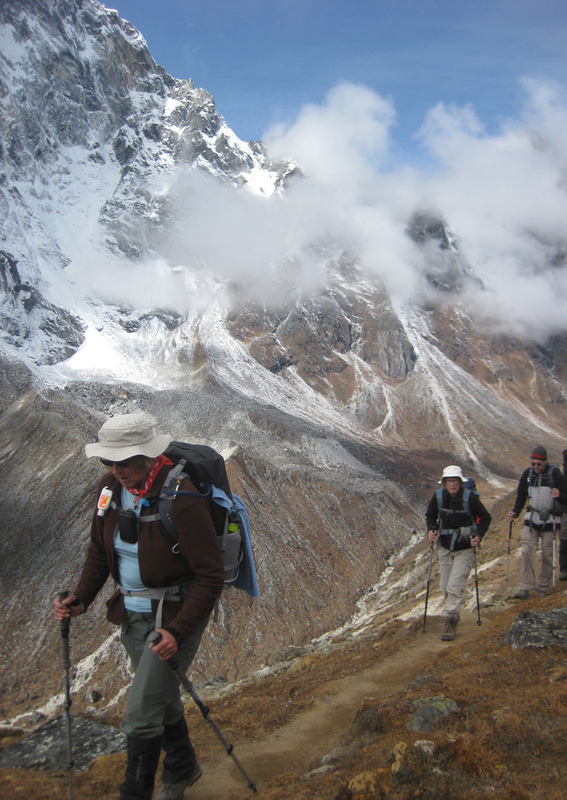 We travel slowly reaching our campsites around lunchtime then undertake altitude training in the afternoons. There is plenty of time to explore the villages. A group of school children at Monjo were enthralled by David Greig’s storytelling as he read “Echidnas on Everest” written and donated by Peter McDonough’s son. After crossing many iron-cable swing bridges, negotiating narrow, steep tracks and adoring the beautiful, gentle yaks as they softly paraded past we have our first rest and acclimatization day in Namche Bazaar and our only hot shower. 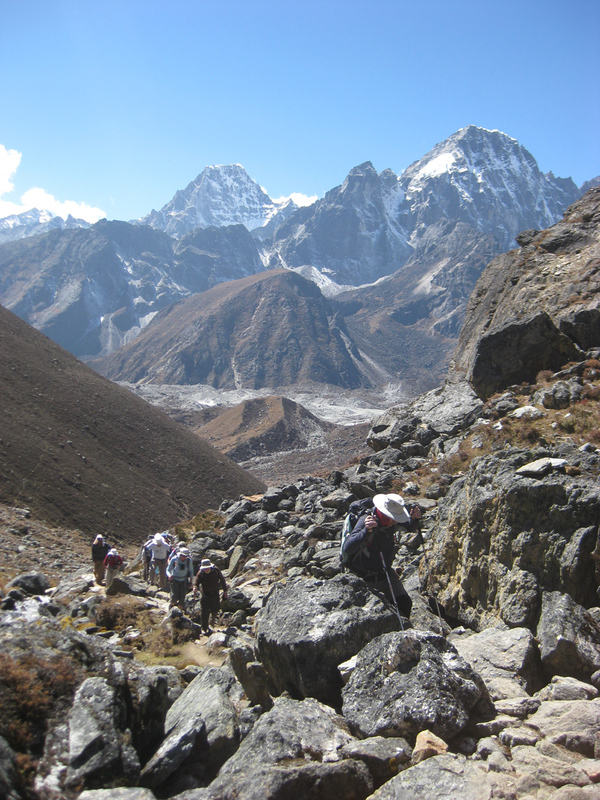 Now the group splits and the lower group trek off to Ama Dablam Basecamp (around 4,500M) while the others take the high Cho La Pass, to Everest Base Camp (around 5,500M). At Gokyo we experience our first snow, repair the Helipad and witness it being used the following morning. Trekkers are evacuated daily from the region. After reaching Everest Base Camp it is all ‘downhill’, the snow and ice lay behind and we cover greater distance, meet up with the others at Dingboche and take in the more cultural aspects and the beauty of the Khumbu Valley with its monasteries and high mountain peaks! Exhausted, we leave for Kathmandu and fly to India where we visit many historical sites, the highlight being the Taj Mahal. Once again, Geoff has put together a very thorough and memorable expedition.